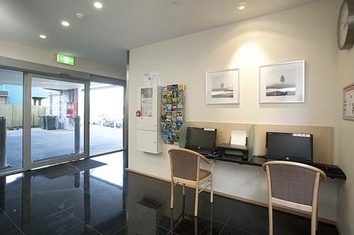 A near new modern 4 star motel with 26 rooms all with ensuites full of all the latest features, offering quality 4 Star accommodation at affordable prices. Sound proof rooms ensure a perfect nights sleep. 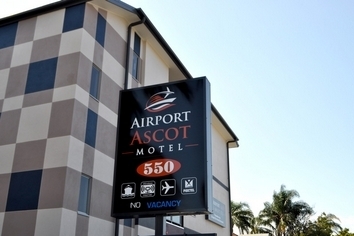 We are located short distance from Brisbane Domestic and International Terminals, CBD and only a few minutes walk to Brisbane Cruise Ship Terminal, where there are great restaurants, bars, cafes, boutiques, picture theatre and supermarket. Cooked and continental breakfast is available as well as room service in the evenings. The Motel is licensed with drinks available from Reception. All our rooms are non-smoking and have lift access. Day rooms are available. We strive to provide high quality service and our friendly staff will attend to your every need to make sure your stay is memorable. Rates are for 2 people. Larger room with one queen bed and large work desk. 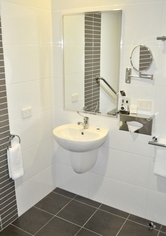 All rooms have a wireless internet access, free foxtel and are NON SMOKING. Other room features include tea and coffee making facilities, reverse cycle airconditioning, hairdryer, fridge, iron & ironing board, flat screen TV, STD/IDD phone. FAMILY ROOM SUITE RATES ARE FOR 4 PEOPLE 1 QUEEN BED in a main area, and 2 SINGLE BEDS in a separate room (can be made into 1 KING BED). DISABLED FRIENDLY. Clean, modern & comfortable. 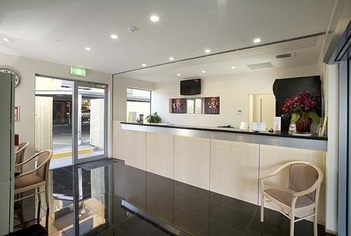 LCD TV with FOXTEL, split air conditioning, tea & coffee making facilities. NON SMOKING. Free WiFi. Rates are for 5 people. Bedding configuration 1 queen and 1 single in a twin room with 1 queen in a connecting room. All rooms have WIFI, Foxtel and are NON SMOKING. Other room features include tea and coffee making facilities, safe, reverse cycle air-conditioning, hairdryer, fridge, iron & ironing board, flat screen TV and STD/IDD phone. Rates are for 2 people. Standard room with one queen bed. 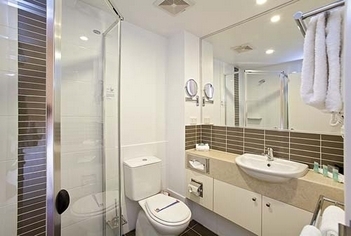 All rooms have a wireless internet access, free Foxtel and are NON SMOKING. Other room features include tea and coffee making facilities, reverse cycle air-conditioning, hairdryer, fridge, iron & ironing board, flat screen TV, STD/IDD phone and some with patios. AFTER HOURS CHECK IN AVAILABLE. Reception is open between 7am and 9pm. LATE ARRIVALS - if arriving after 9pm please ring during office hours on the day of arrival to obtain instruction for the night safe. Check in time is from 2pm and check out time is 10am. Children and extra guests are $20.00 per person. Cots are $10.00 per night. From the airport continue through the motorway roundabout and take the next left into Nudgee Road. Continue down Nudgee road for approximately 2km going past the Doomben Race Track. Cross the railway line then turn right into Beatrice Terrace. Next left into Seymour Road and continue down Seymour Road to Kingsford Smith Drive. Turn left into Kingsford Smith Drive and we are the third motel on the left. South bound off the Gateway Motorway take the Airport exit but turn right at the roundabout, which will take you to Nudgee Road. Turn left into Nudgee Road and follow directions from the Airport. Northbound off the Gateway take the first exit after the bridge (City, Kingsford Smith Drive) and turn left into Kingsford Smith Drive. Approximately 1km alond turn right into Nudgee Road (traffic lights). Turn left into Allen street and then the next left into Seymour Road. Follow to the end and turn left onto Kingsford Smith drive. We are the third motel on the left. We are within walking distance of the new International Cruise Terminal with Restaurants and Movie Theatre, Racecourse Road, Bretts Wharf and the City Cat into the city, Eagle Farm and Doomben Race Tracks. 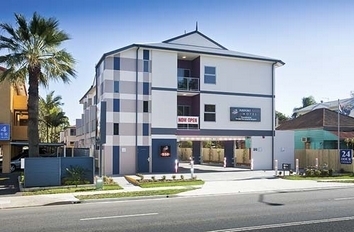 Only a short drive to the Boondal Entertainment centre, Suncorp Stadium, Breakfast Creek Hotel, Albion Paceway, Ballymore, RNA Showgrounds and the Hospital.